This gives ‘Leading from Behind’ a new meaning … Does Obama and the MSM really want to get into a “WIMP” debate? When a Commander in Chief fails to pull the trigger in three separate occasions and takes military advise from a political adviser, one might not have the right to be called “Commander”. Thisguy wussed out three times and had the audacity to spike the football after OBL’s death? Barack Obama and his spin minions tried to make the killing of Osama Bin Laden as the crown jewel of Obama’s war on terror. Oh sorry, overseas contingency operation. It was supposed to make Obama look tough; however, from Richard Minter’s book, ‘Leading from Behind’ we learn an interesting factoid regarding the war-hawk Barack Obama. It would appear that Obama canceled the operation to kill Bin Laden on three separate occasions, before finally approving the May 2, 2011 Navy SEAL mission. Then he waited 16 hours to finally pull the trigger, if you will. The Lonely Conservative asks, who’s the real wimp in this election? One would have to ask what was Obama waiting for and more to the point, who wears the pants in the White House and actually makes the decisions? We have Newsweek’s lame stream media attempt at calling Romney a wimp, as opposed to the reality of Obama acting like one. Exactly how does a President get talked out of killing the number one terrorist in the world be a political advisory? Not a general, a military commander, but a political hack. Since when does Valerie Jarret dictate foreign policy? Doesn’t that speak volumes of the Obama administration and Barack Obama. Obama may have to explain his actions here. 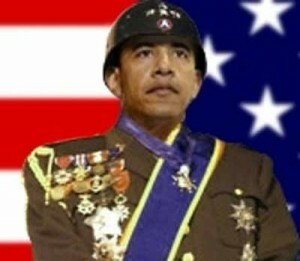 He tried to make himself look like a war hero and big man on campus in the war room when OBL was killed. Many gave him the benefit of the doubt for being President when Bin Laden was killed; however, many stated what else would any other president have done but said yes? Can you imagine the political and military fall out if Obama had the opportunity and didn’t kill Bin Laden? Well, looks like that occurred 3 times. It would seem that Obama had to be dragged kicking and screaming to this decision. I am no Hillary Clinton fan, but if I did not know better, it would more appear that the raid on Bin Laden’s compound was ok’d by Sec. of State Clinton and Sec of Defense Panetta while Obama was golfing and he was informed at the last minute when he had no other alternative but to say yes. Barry is NOT running the country. He doesn’t have enough brain power or experience to do the job. Valerie Jarrett is the one who makes the decisions, not Obama. The MSM and all the people who wanted something for free are the reason we have this idiot occupying the White House. Barry does not have American values. He IMO is a muslim in hiding trying to extend the muslim power to the USA. Is any of this information surprising? #3-PublicArseWipe—-The Author does not need to reveal his Sources. This Editorial is spot on! Since WHEN does Valerie Jarret dictate Foriegn Policy Procedures for our Country?? Answer: When the Commander in Chief FAILS to, or is UNABLE to do the job himself. Seriously, Public. Can you be any more IGNORANT than you already are? Stop drinking the Moonbat Kool Aide, Public till you end up like every one in the Jones Camp did.